Students in Wayne County caught a play Wednesday morning. It wasn't a comedy or musical but a tragedy about the opiate epidemic destroying lives, especially here in Pennsylvania. It's a scene from a play about the dangers of prescription drug abuse, but it could be the real deal anywhere in America these days. "It felt better than having no pain at all," said the character Justin after taking painkillers prescribed for an injury. "I felt really relaxed." The actors from Saltworks Theatre Company on stage at Honesdale High School portrayed the all-too-common way opiate users get hooked in a play called "Off Script." "It's kind of alarming how that's what will happen if you take these things that are good at first then it just hits you and really bad," said seventh grader Amaya Yarrish. The seventh graders watched as the characters fell victim to the highly addictive painkillers, pills at first then the cheaper, deadly drug heroin. "I thought it was really cool because it was so real," said seventh grader Ivy Brinkerhoff. The acting group from Pittsburgh travels to schools warning kids of the trap they could fall into if they become addicted. The way Saltworks sees it: prevention is the key. "Hopefully, if we get to them before the drugs do, then they'll never have to see themselves in those situations," said actor Jordon Phillips. The message in this tragedy on stage: there's always someone who is willing to talk about your troubles and it's not a shame to ask for help. "That needs to happen beginning at home and we have that opportunity to continue that conversation at school through education, being proactive and preventative in these situations," said guidance counselor Amy Gries. 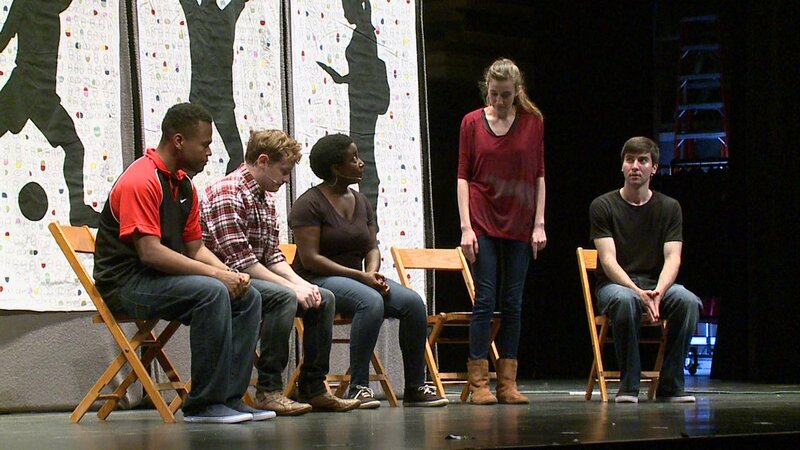 "When you're addicted, you have a disease," said the actors ending the play. "And your recovery starts with three words: I NEED HELP."